Premium quality reducer designed for use in urethane primers, topcoats and clearcoats. RS-1860 is 100% virgin reducer without any recycled solvents. 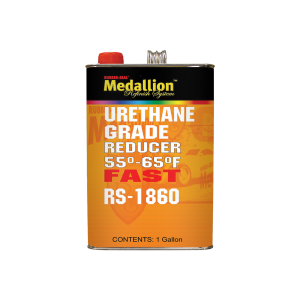 Fast Urethane Reducer is designed for use in temperatures ranging between 55°F - 65°F (12°C - 18°C). Packaged in quarts, gallons and five-gallon pails.